Could the little ones choose their own clothing, they would probably wear Bergflocke. An original Swiss label with simple, straight lines and slightly nostalgic-inspired designs. They are very comfortable to wear and, last but not least, made from healthy organic materials. All the elementary characteristics of the very handsome collections, which the founder Susanne Pellet brings on the market twice a year. It was a little more than three years ago that Susanne applied her textile know-how skills also to baby clothing. It was then that her daughter had been born and, like all mothers, she wanted only the best for her child. 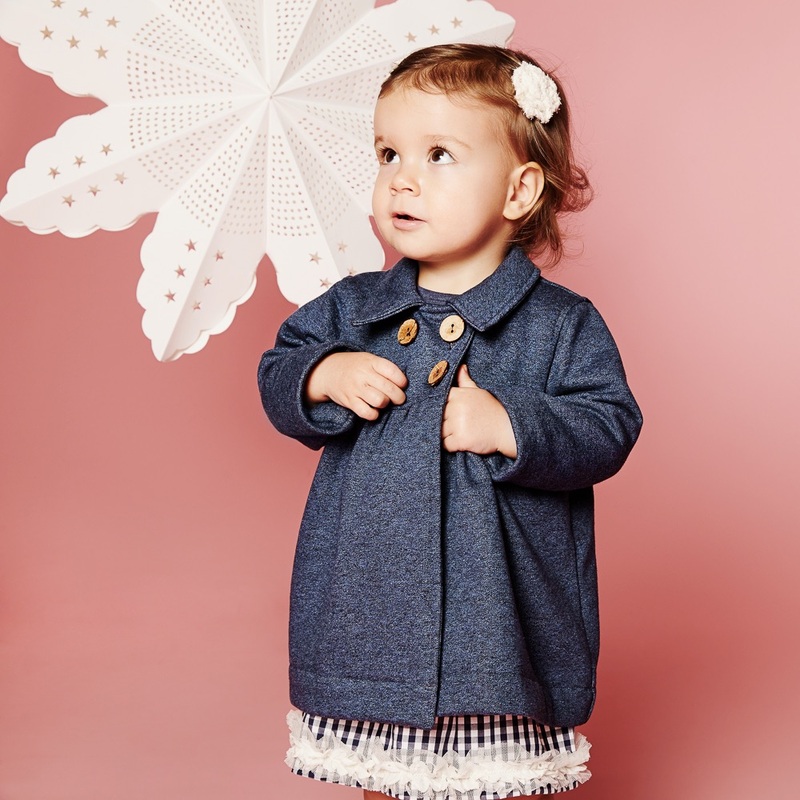 And so the skilled fashion expert, who later worked in the luxury industry for quality brands such as Bottega Veneta, began to design a few dresses with unbleached and un-dyed cotton off-the-cuff for her little one. Encouragement and compliments from her friends quickly spread and so her passion to turn it into a business was born. In 2016 she will present her Spring / Summer Collection for children up to the age of seven. I, personally, am taken especially by the simple Polar bear and starry-pants, the long-sleeved Milchbub T-shirts, and of course the 'magic of winter' shirt. 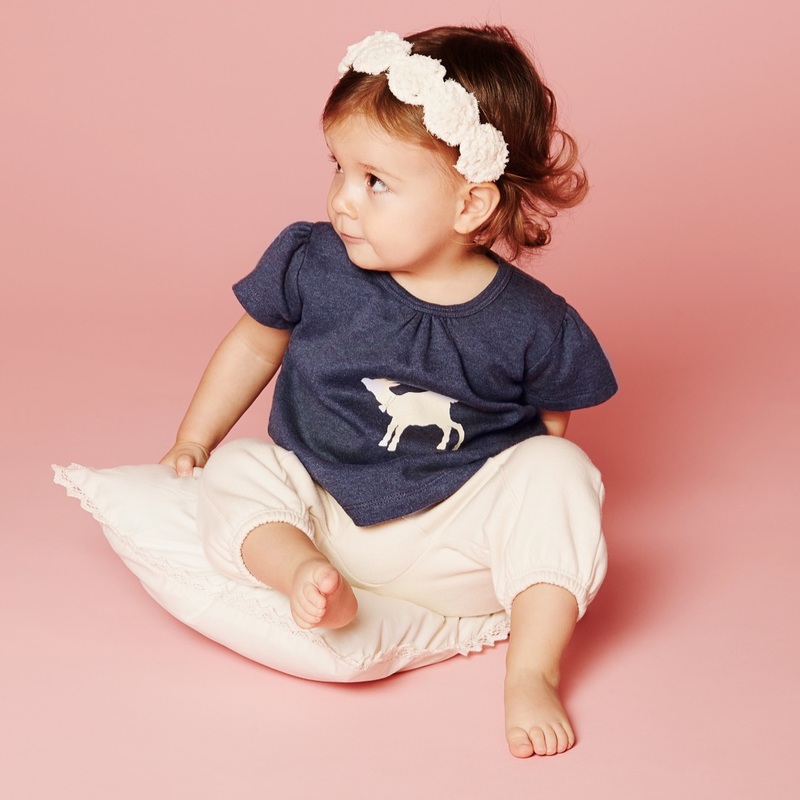 All simple basics, where the babies look especially cute, but casual. And that, I discover in conversation, is also Susanne's credo. She doesn't want to create "colorful shells" for babies, but practical, comfortable clothing in which the little ones look endearing and the clothes don't detract attention from them. The fact that the clothes are also made exclusively from GOTS-certified cotton with organic colors and under fair trade conditions is, of course, another bonus and gives me a good feeling when buying. Her range can be found in: 'Lleshi Art' in Zuoz, 'Loeb' in Bern, 'Malou' in Richterswil, 'Witra' in Samedan, and in Zurich at 'Mogli Chinderlade' at the Schipfe and 'Zero-7'. Part of the collection is also available to order online at Stadtlandkind and the complete collection directly on Bergflocke. I'm going to place an order right away and I can hardly wait until I can dress my youngest in his handsome new outfit.